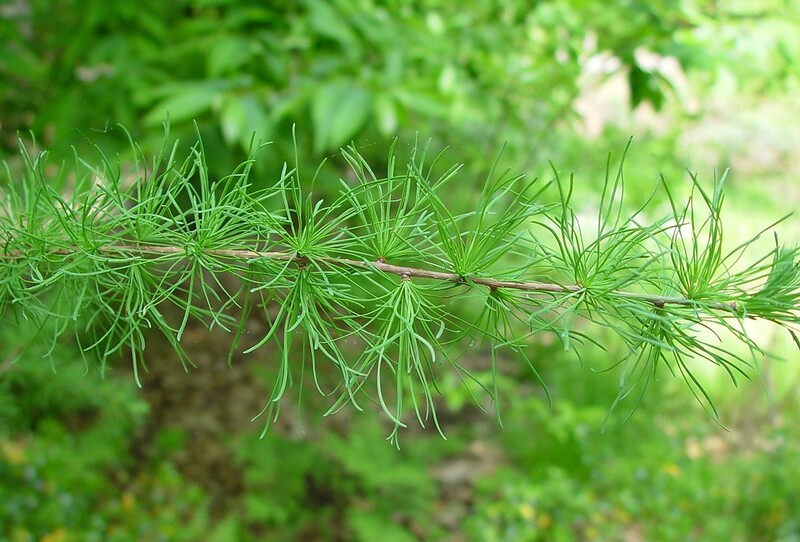 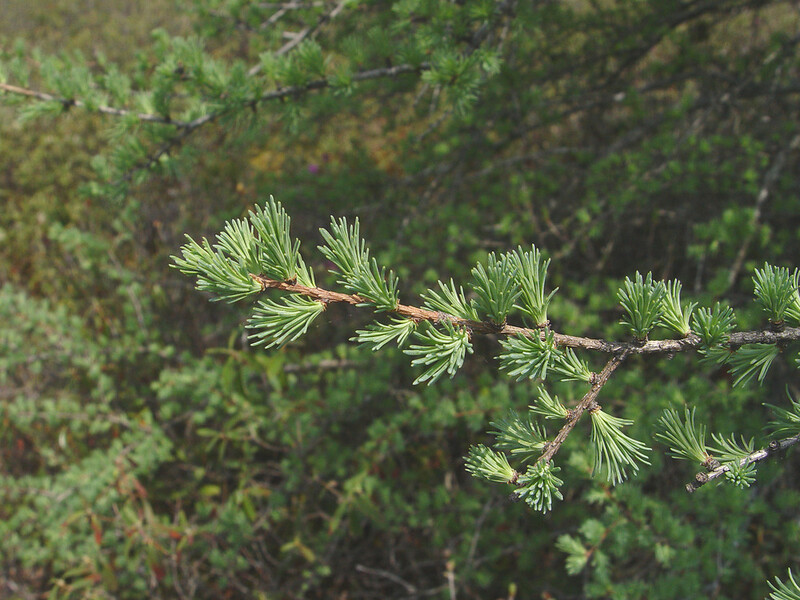 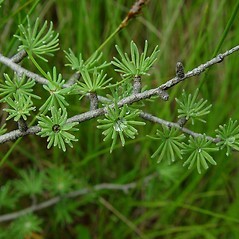 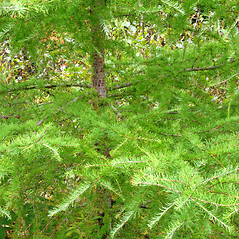 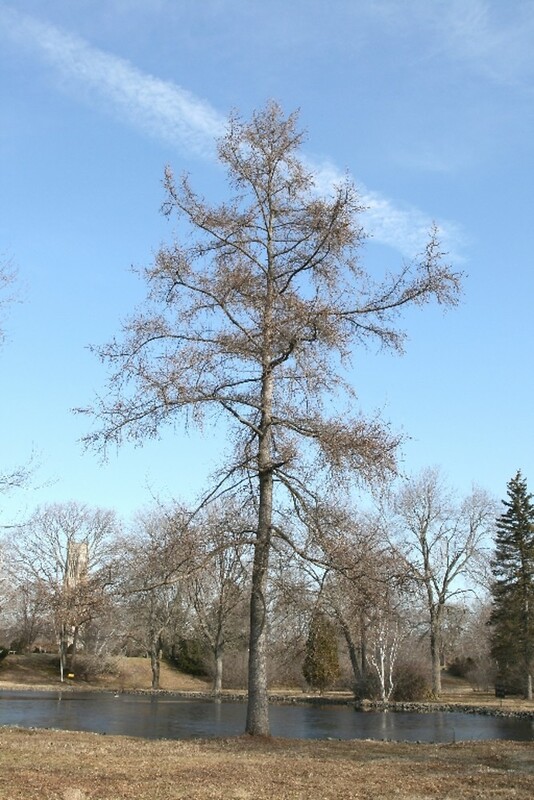 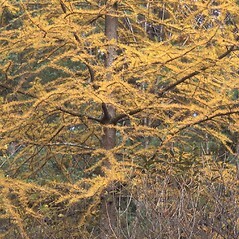 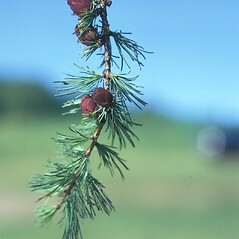 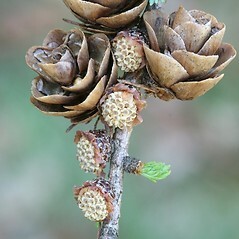 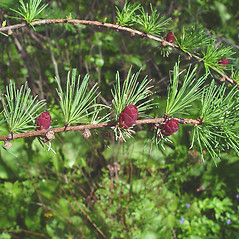 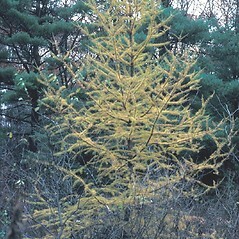 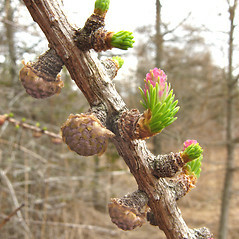 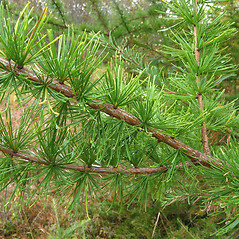 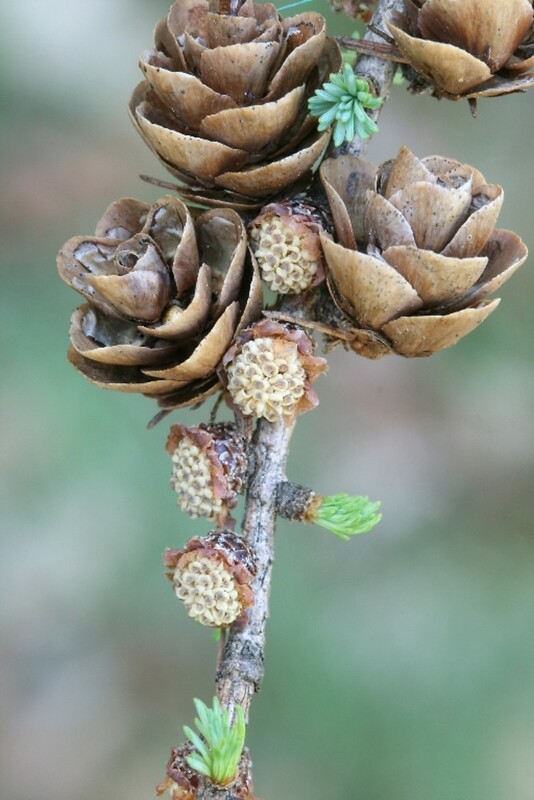 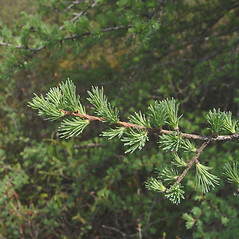 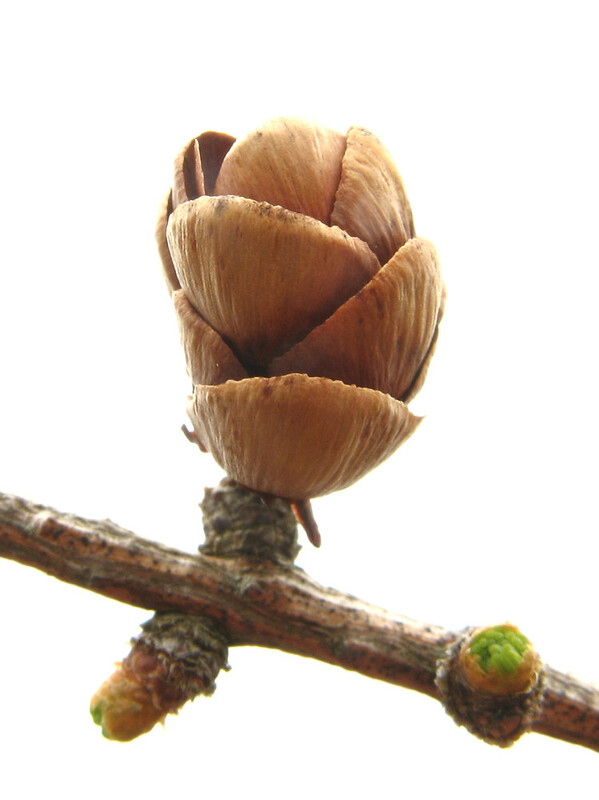 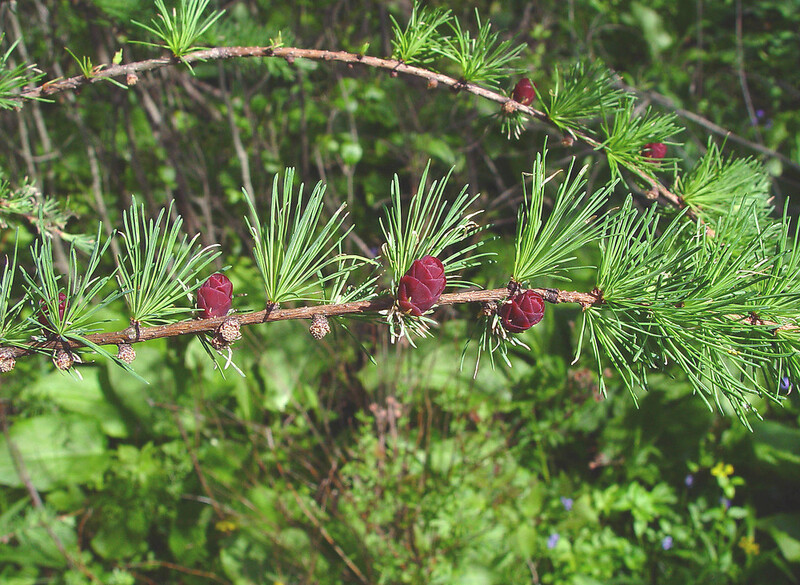 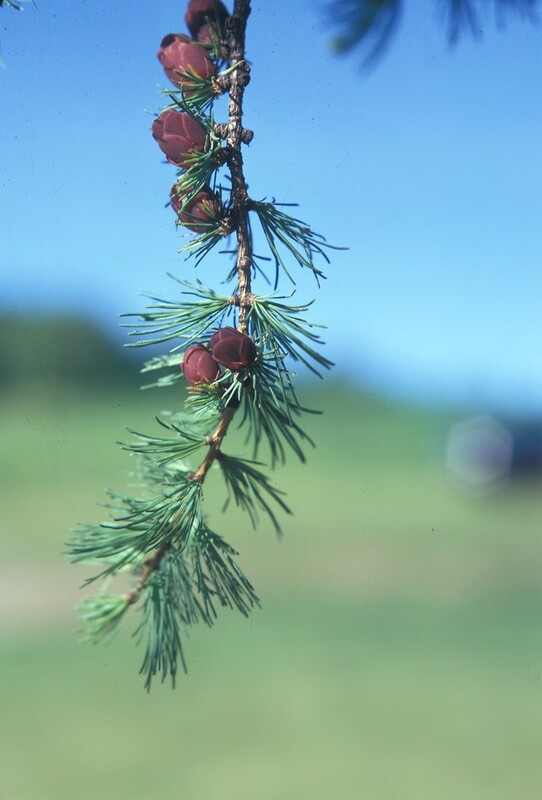 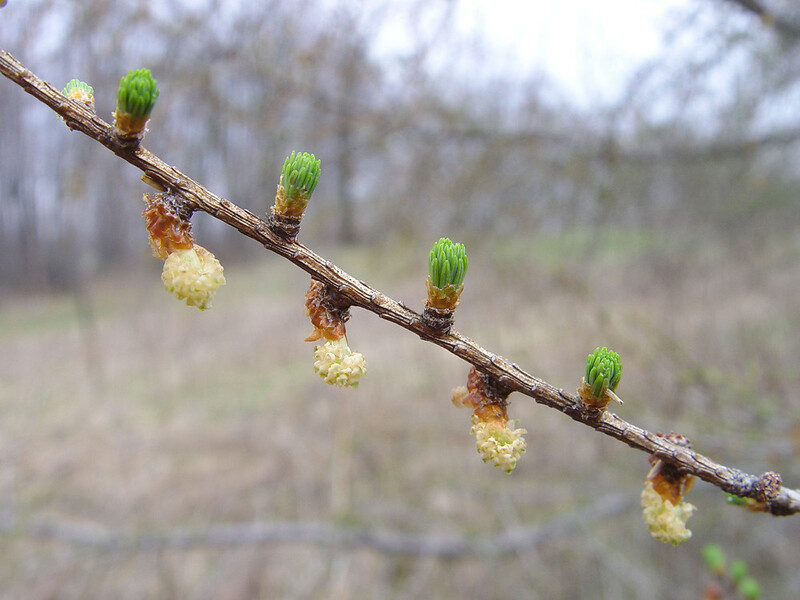 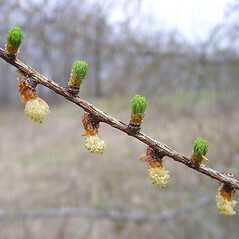 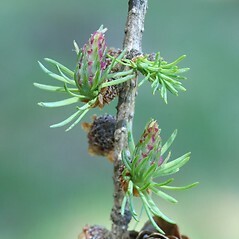 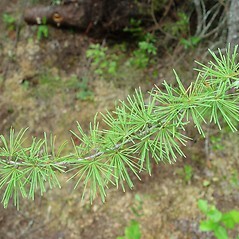 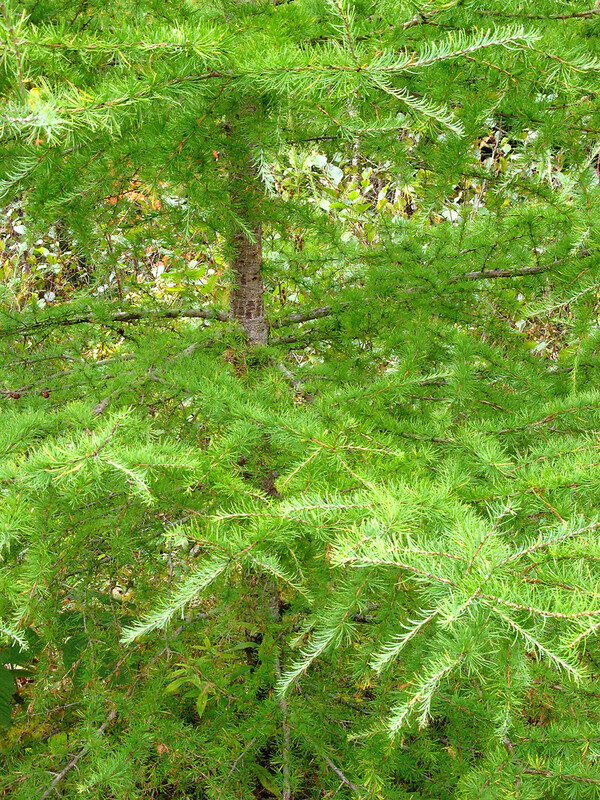 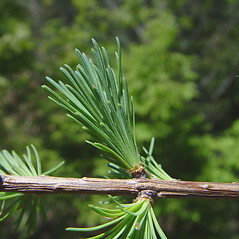 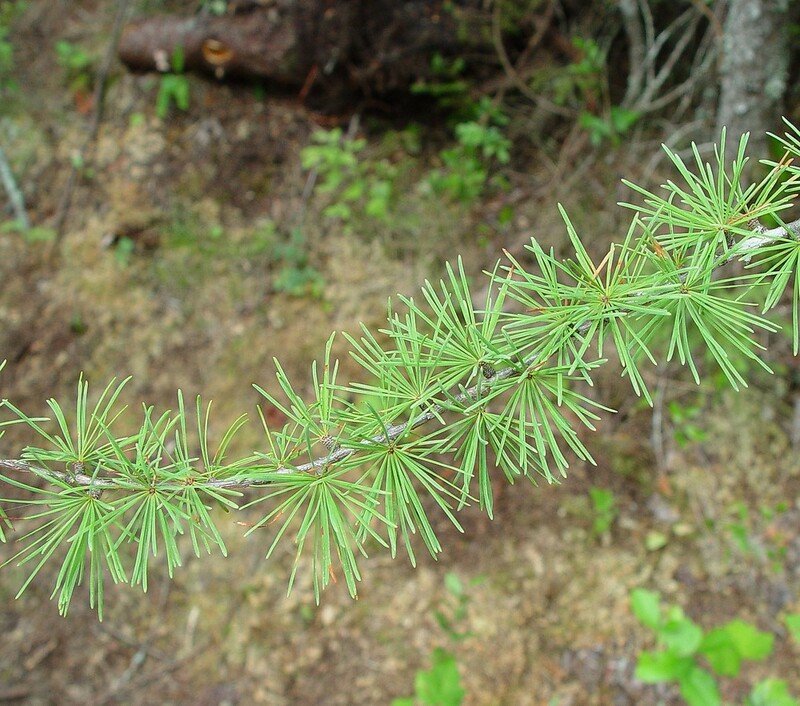 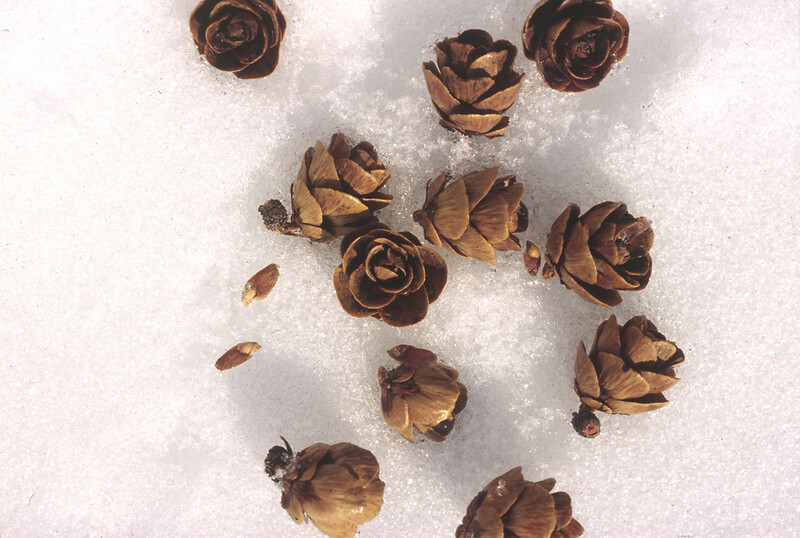 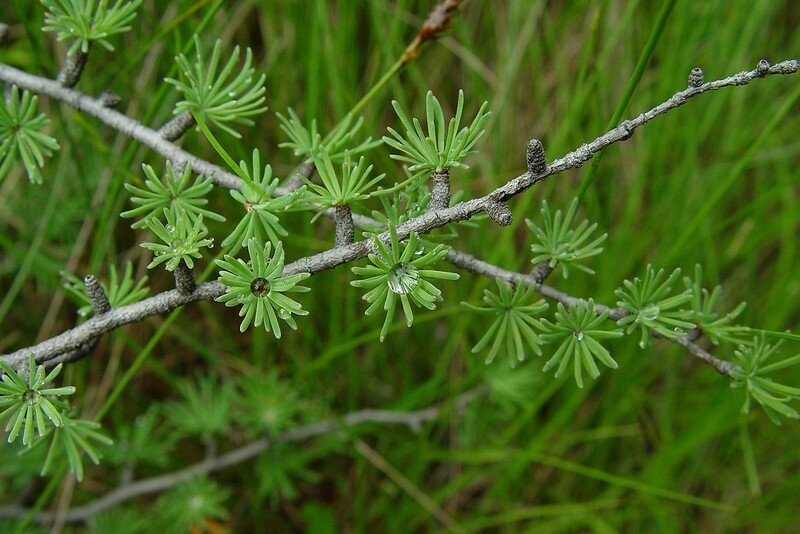 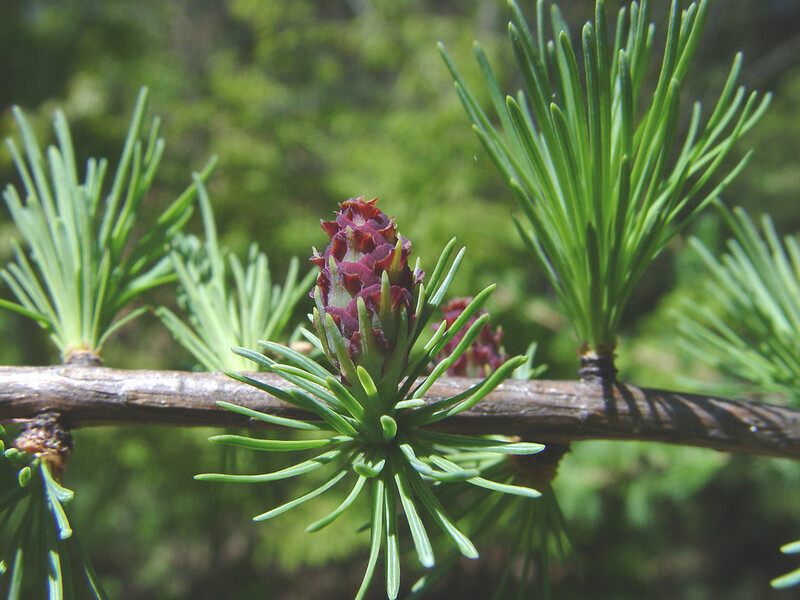 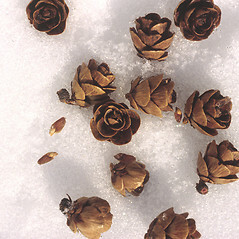 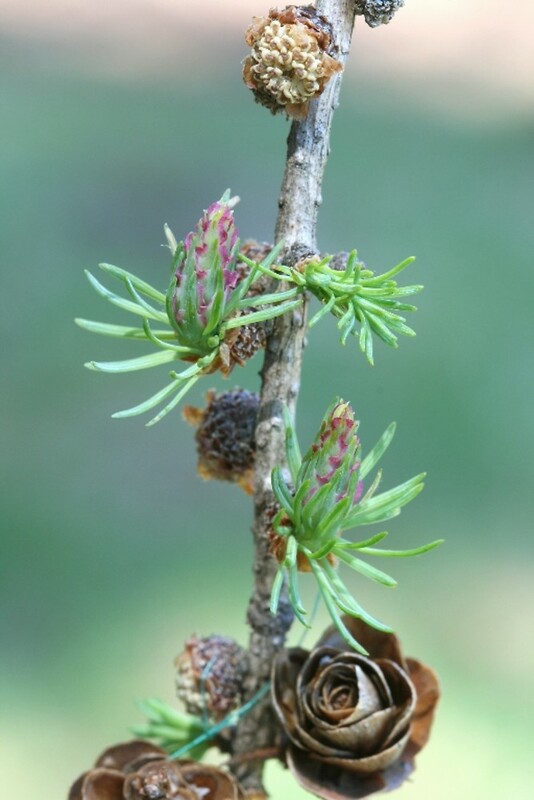 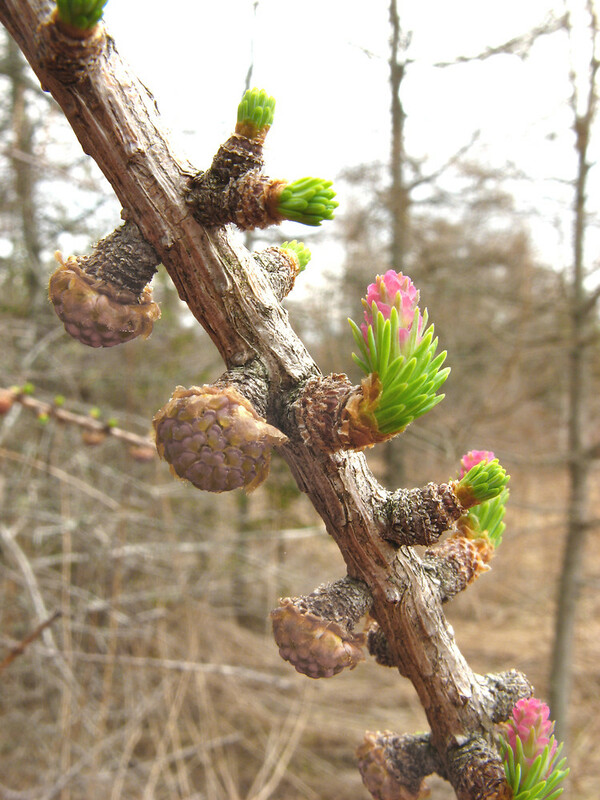 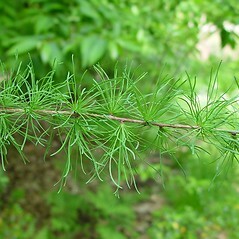 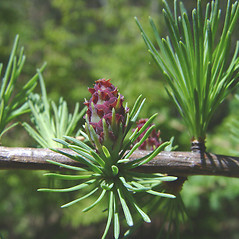 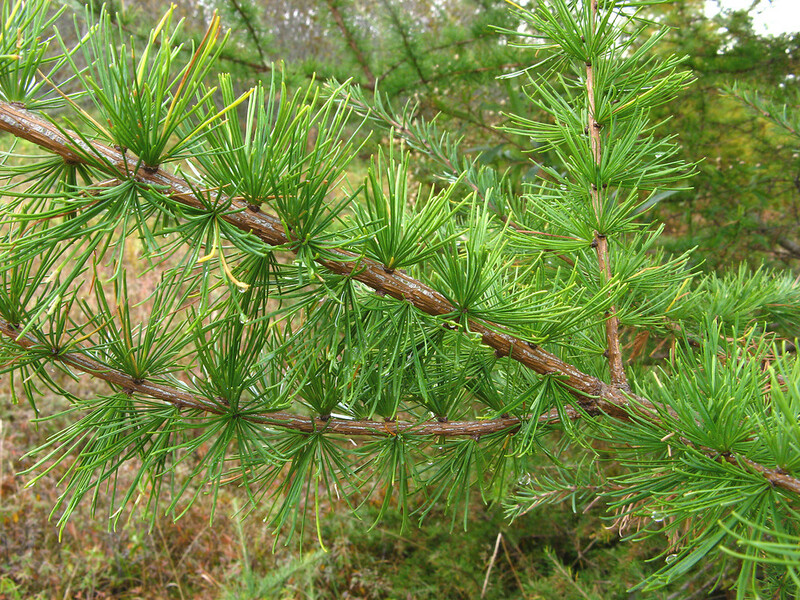 American larch (also known as tamarack) is the only New England conifer to drop its needles in the autumn and grow new ones in the spring. 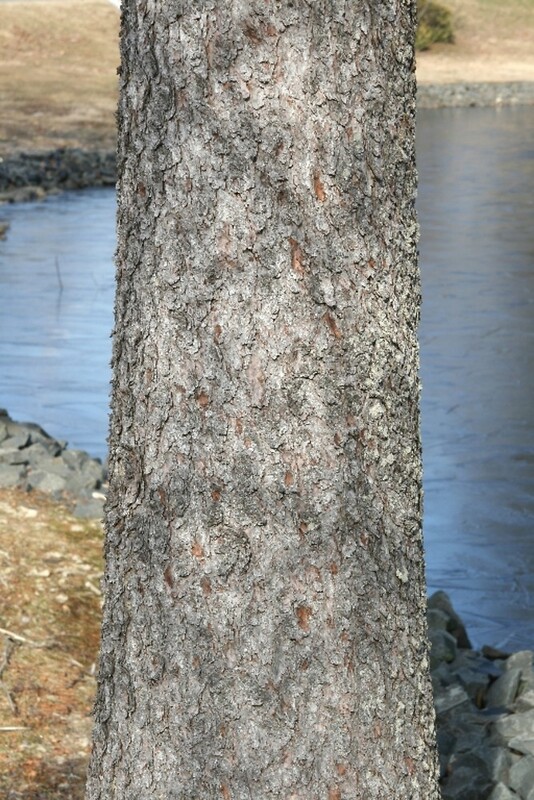 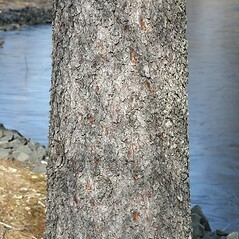 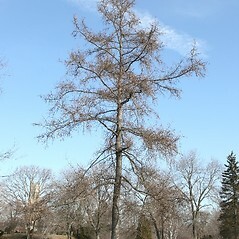 This hardy tree ranges far north into the tundra regions of Canada. 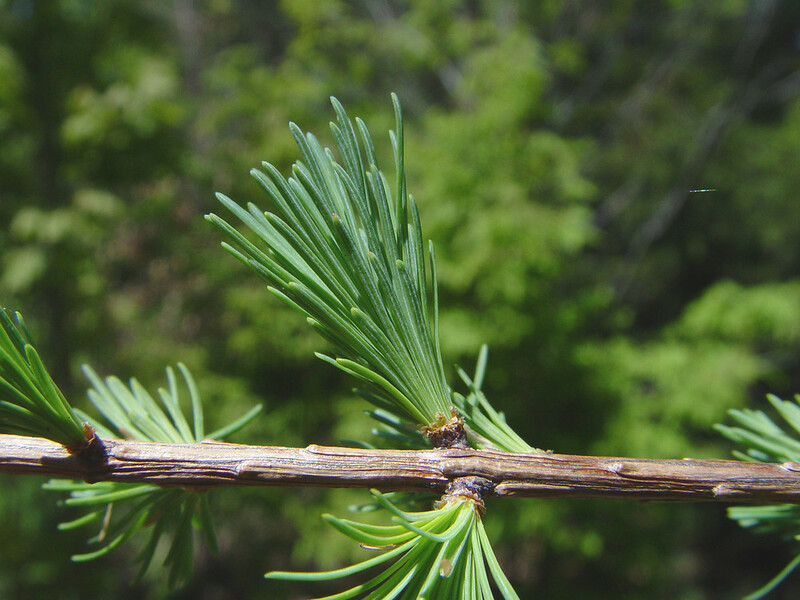 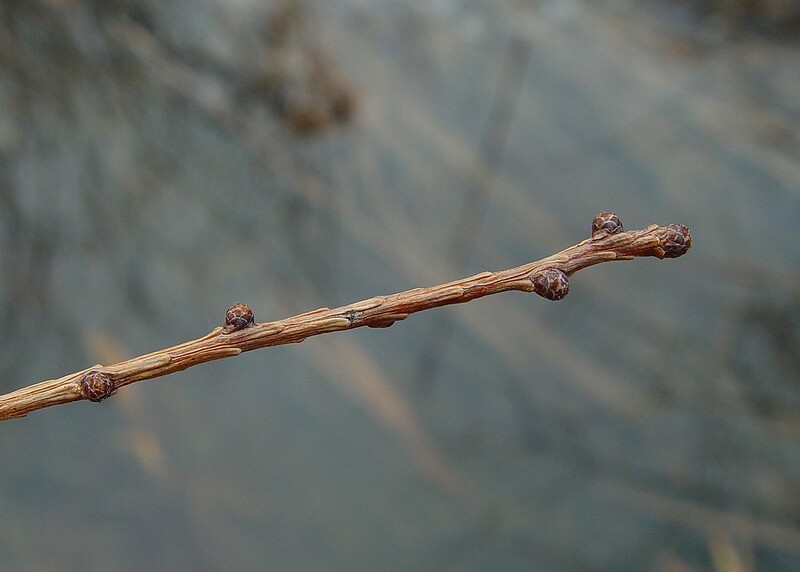 Native Americans of northern New England and Canada used the roots of tamarack for stitching together birch-bark canoes, as the terpenes in tamarack wood make it very durable when wet. 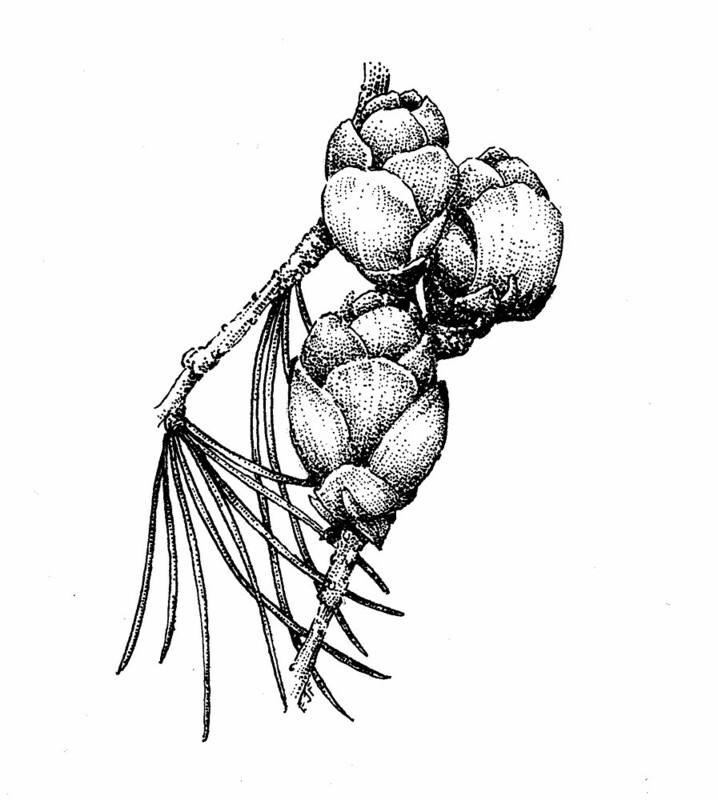 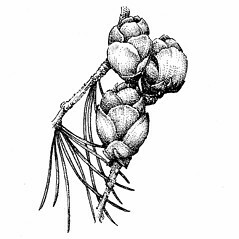 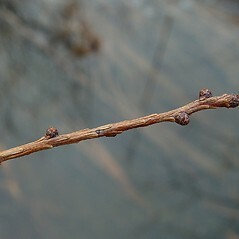 branchlets pendulous, bark of main stem shedding as large, plate-like scales, and seed cones 2–3.5 cm long, with 40–50 scales (vs. L. laricina, with branchlets spreading, bark of main stem shedding as small, irregular scales, and seed cones 1–2 cm long, with mostly 10–15). 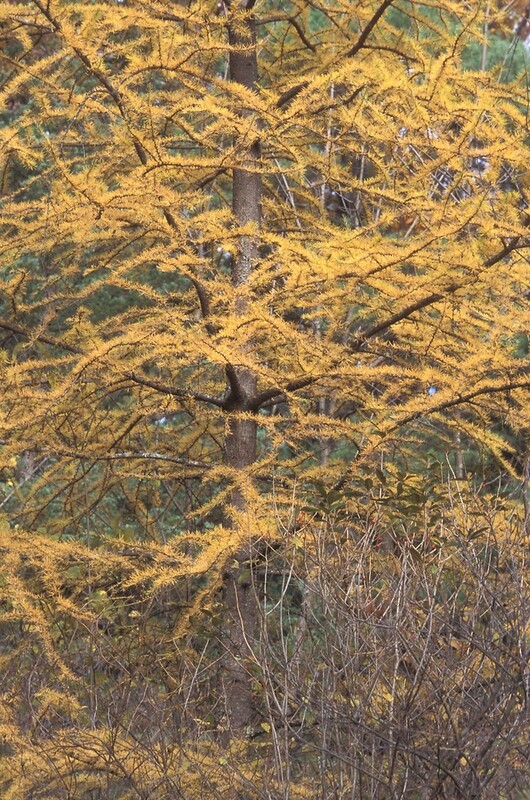 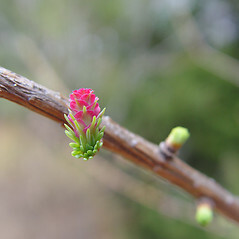 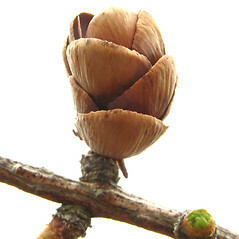 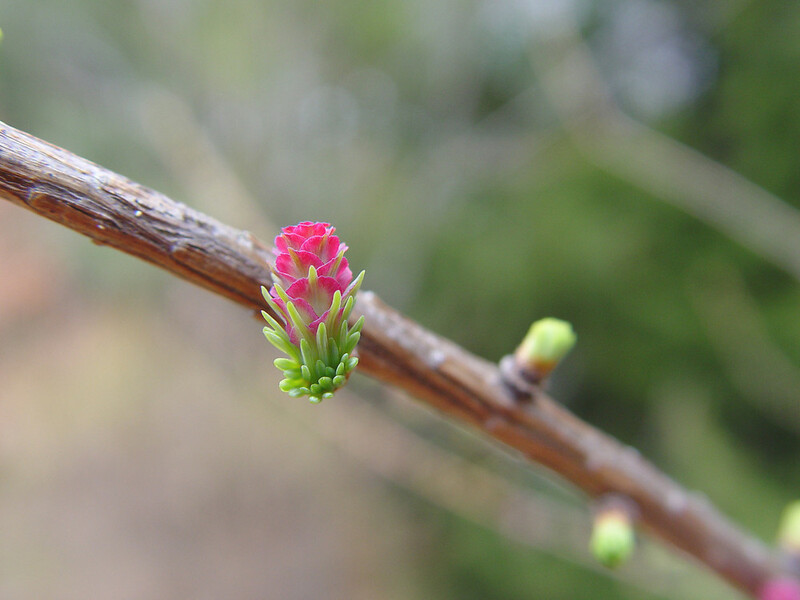 American larch. 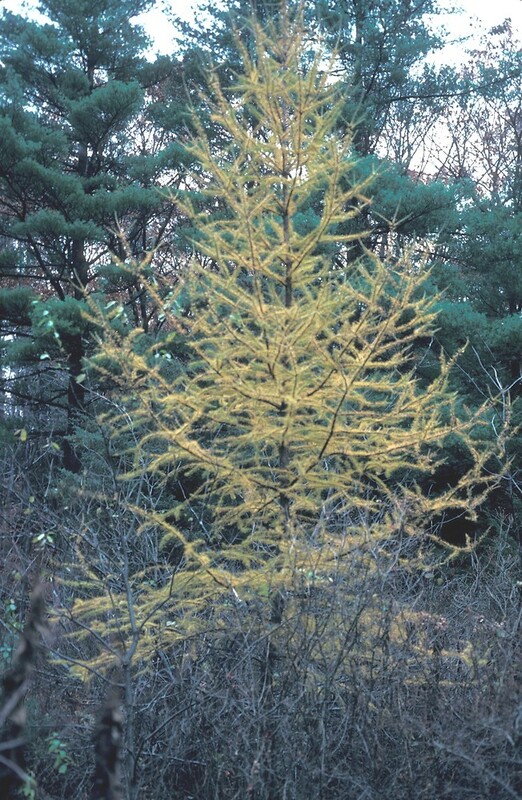 CT, MA, ME, NH, RI, VT. Hydric, organic soils, becoming occasional in wet-mesic or even mesic soils in the northern part of New England.